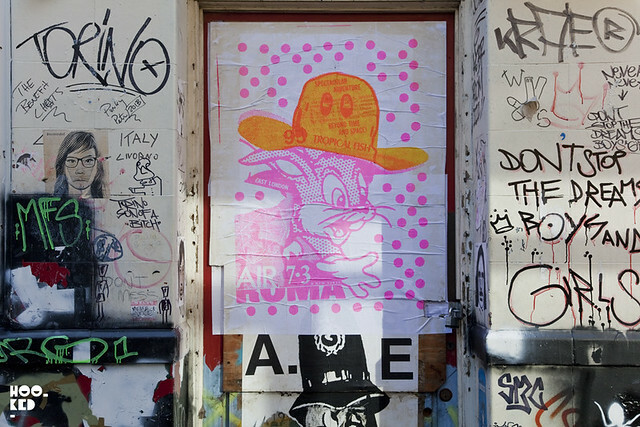 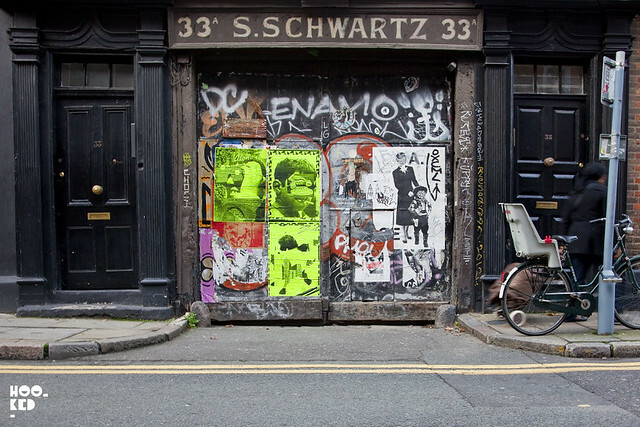 London based street artist A.ce returned to the streets this week a series of new hand screen printed paste-ups. 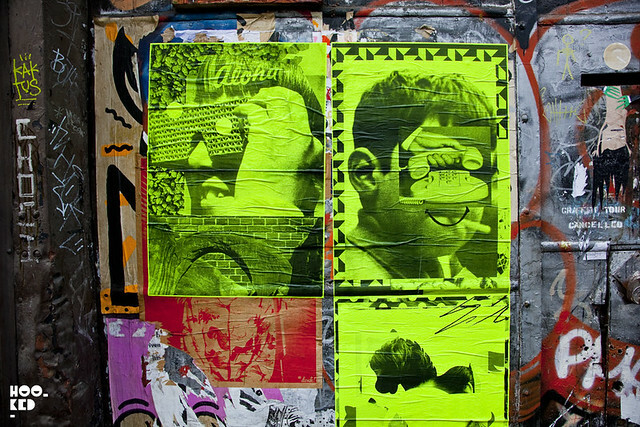 Also appearing on the streets this week from A.ce is a new collection of neon collage pieces which saw the artist collaborate with artist Tim Head. 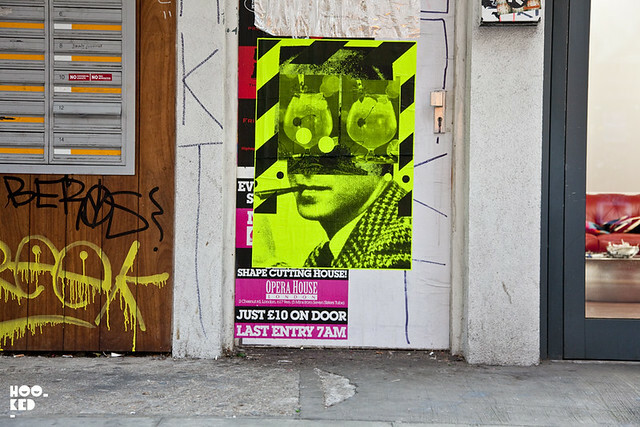 The two artists have been exchanging and remixing images via email over a series of weeks which resulted in a new body of collage works which they recently installed at the 119 cafe / exhibition space in Lower Clapton Road in East London. 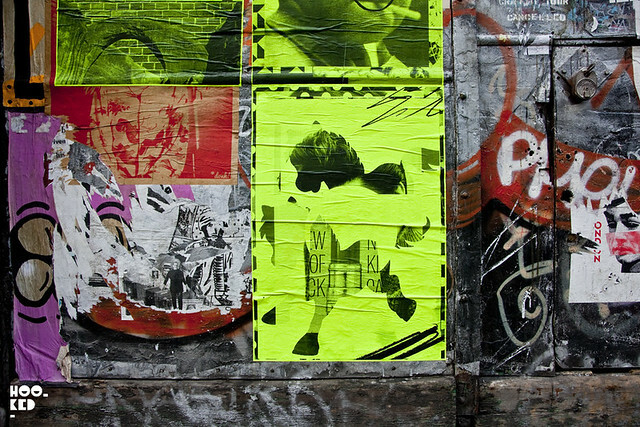 The works will be on show at the space until mid December. 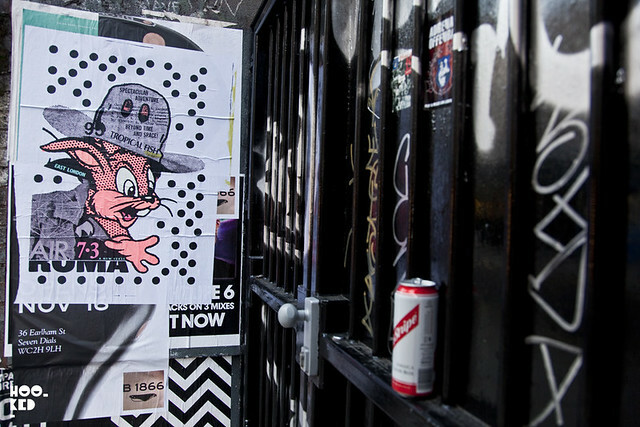 A selection of these pieces have been installed on the streets and can be seen around Shoreditch and the Brick Lane area. 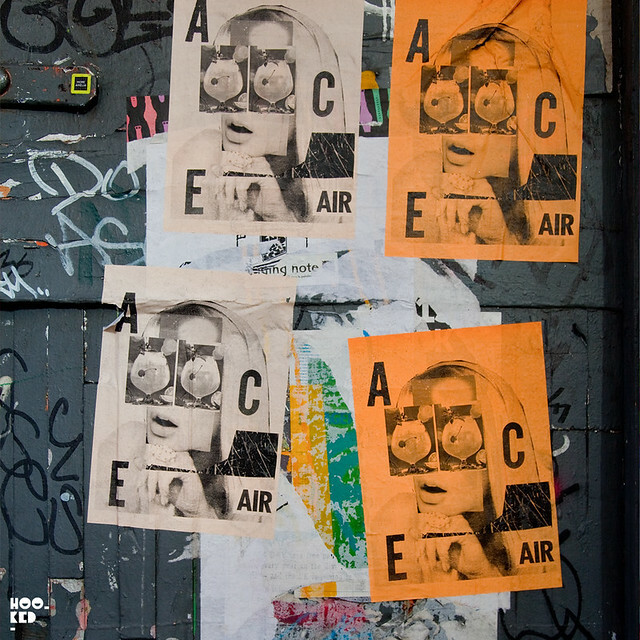 Below are a selection of posters from A.CE we photographed yesterday.